We'll be updating and adding to this post throughout the weekend. Check in for more deals and updates! Hey all! Happy Turkey Week. For those that are celebrating, we wish you and your family a wonderful Thanksgiving. We're excited to continue our tradition of offering up a major discount on Beaver Builder for Black Friday and Cyber Monday. There are some amazing deals out there in the WordPress space and beyond. We purchase many of the annual licenses for our business and for personal use during Black Friday. There are deals available that you won't find any other time of the year, so it's a strategic time to stock up on the products and services you know you're going to use. With that said, here are the details of our much-anticipated, once-a-year deal! We're keeping consistent with years past and offering 25% off the entire Beaver Builder store starting on Black Friday, going through the weekend, and through Cyber Monday. The discount will be automatically applied. No coupon code needed. 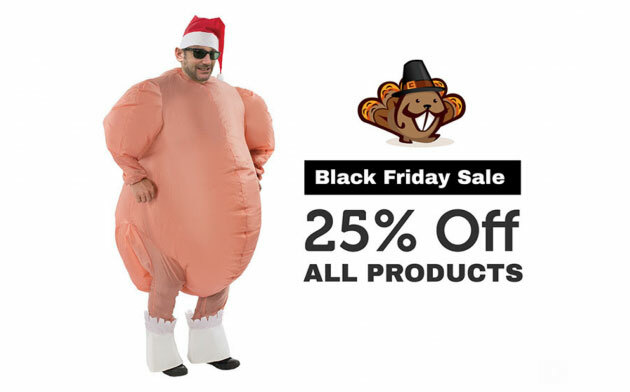 The 25% discount applies to upgrades and it also applies to Beaver Themer. We apologize, but we can not offer the discount retroactively. For renewals, our 40% renewal discount can't be combined with the Black Friday promotion. Although, if your license has been expired for a while, Black Friday is a great time to come back! Grab your copy of Beaver Builder or Beaver Themer and join the family today. If you're looking to add more modules, templates, and other goodies to your Beaver Builder library, check out these deals from our friends. Get 30% off Ultimate Addons for Beaver Builder automatically from Friday-Monday. Get 30% off Beaver Addons automatically from Friday-Monday. Get 30% off Wallace Inline using the coupon code BLACKFRIDAY now-Monday. For a comprehensive list of WordPress deals, check out a few of the roundup posts from friends like WP Beginner, WP Mayor, and CodeinWP. Also, if you're offering a discount on your Beaver-Builder-related product or service, please leave us a comment here and we'll add it to the list! Unrelated to Black Friday, a bunch of us are all going to be out in Nashville in a few weeks for WordCamp US. If you're going to be there, we'd love to touch base. We're bringing lots of stickers to give away, too! In years past, the sponsor hallways and numerous after parties are the best places to chat. Twitter always seems like the best way to touch base. We hope to see you there! With another year passing, our team and our community continue to grow. We all feel so fortunate for the opportunity to work at something we're passionate about and share it with an amazing group of people. From the entire team here at Beaver Builder, thanks for being a part of this. Thanks for supporting WordPress and open source software! On behalf of all the Beaver Builder team, we wish you all the best this holiday season. My agency switched completely over to Beaver Builder last year and LOVE IT! If you are on the edge, take advantage of this deal and get it. The support from the BB team over the last year has been great, super happy we went with this platform over some others. is those offers for new user too? Been using BB for over a year and LOVE IT. Just merged with another agency and they LOVE IT TOO. For some reasons, I was unable to take advantage of this offer. I am interested in purchasing Beaver Themer & Beaver Builder Standard. Any exception outside of the offer period would of great help to get into the Beaver family.